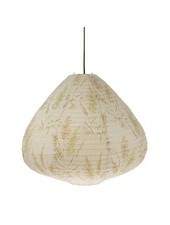 Lampion made of coloured cotton and wooden frame. Including ±1,5 meter cord and ceiling cap. E27 fitting, Max 60W. kaki brown. Lampion made of kaki brown cotton and wooden frame. Including ±1,5 meter cord and ceiling cap. E27 fitting, Max 60W.